As two of Melbourne’s Greats, chefs Alla Wolf-Tasker and Andrew McConnell will form a dynamic culinary duo at the opening night party for Good Food Month. Lovers of good food will quickly circle June 13 on the calendar when they learn that the eight canapes served at the cocktail event are in the hands of chefs Andrew McConnell and Alla Wolf-Tasker. 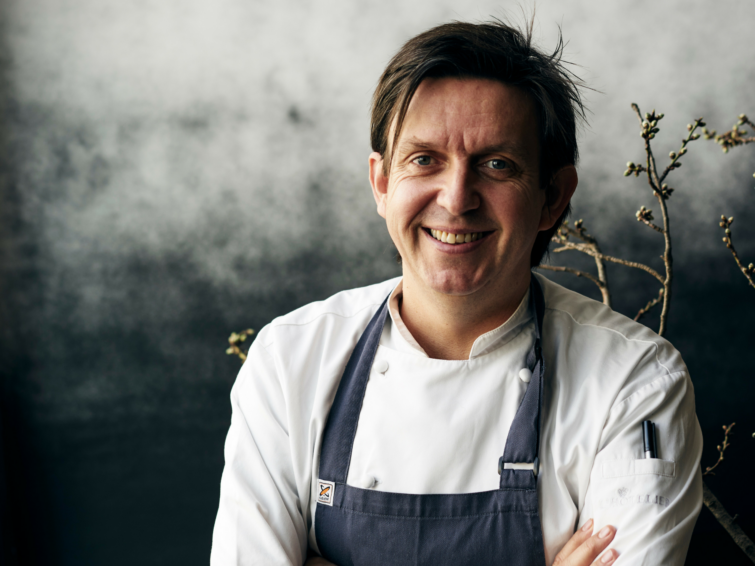 The two chefs are on equal footing for the Melbourne Greats Party, an event designed to celebrate the start of the city’s annual Good Food Month. The pair personify the pride Melbournians have about dining and drinking in and around the Victorian capital, with both chefs having made influential contributions to the scene. Despite the fact Alla Wolf-Tasker’s Lake House restaurant is an hour and a half’s drive from Melbourne, the self-taught chef put Daylesford on the map when she opened the destination restaurant more than three decades ago. In addition to receiving several “Living Legend” and “Outstanding Contributions to the Industry” awards from both The Age Good Food Guide and Gourmet Traveller, Wolf-Tasker has inspired many of the country’s top chefs with her dedication to a trifecta of tenets – relevance, provenance and seasonality – which inform her approach to cooking. “Relevance, provenance and seasonality are the three critical parts to our culinary DNA at Lake House and that hasn’t changed for me since day one. You won’t find us emulating a dish from a restaurant on the other side of the globe that has no connection to our sense of place. Provenance is also important and I know many of our growers and producers personally. Wanting seasonality to be reflected on our plates is of equal importance,” she says. “It’s hard to believe but there wasn’t much out there in regional Australia when we opened the Lake House. Back in those days, if you travelled to the country you took a picnic. Nowadays, when people eat with us at Lake House, they appreciate that we are among the top restaurants in Australia. They enjoy the contemporary style, but also that our food often offers a taste tour of our region,” she says. Born in Austria to Russian parents, Wolf-Tasker arrived in Australia as a baby. Today she is a legend of Australian cuisine as well being a revered author. 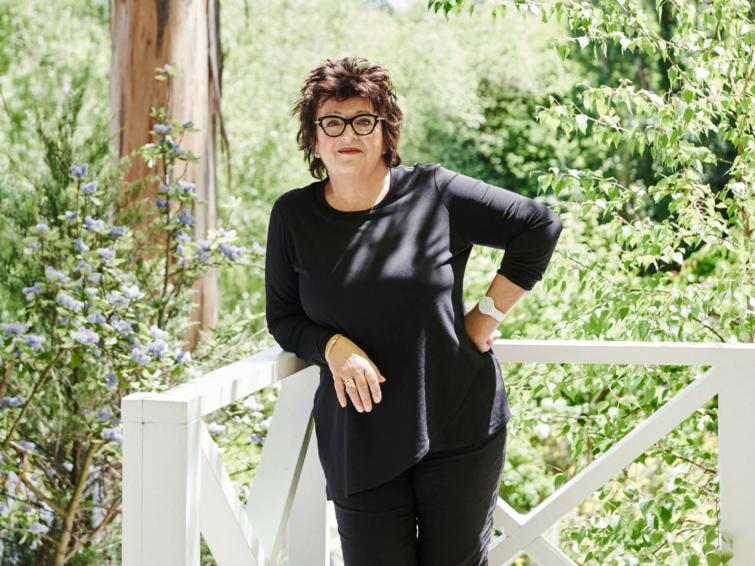 She will be signing copies of her book, Three Decades On: Lake House & Daylesford, at the cocktail party, where she and McConnell will prepare canapes for up to 300 guests. Expect canapes of cured kangaroo, flaxseed crisp, tarragon, chutney and mountain pepper; smoked eel rillettes, horseradish, apple, black rice cracker; a brioche bun with winter mushrooms; and a passionfruit pate de fruits with liquorice sugar. Wolf-Tasker says being billed as one of Melbourne’s Greats is “hugely gratifying”. “Being referred to as a great probably has to do with my being a pioneer in regional food and wine excellence,” she says. “He is always on the cutting edge of things but never loses sight of the fact that being new and clever will never be enough; the food always needs to be delicious and his always is,” she says. Like Wolf-Tasker, chef Andrew McConnell’s ingredient-driven approach to cooking is disciplined, principled and exacting. 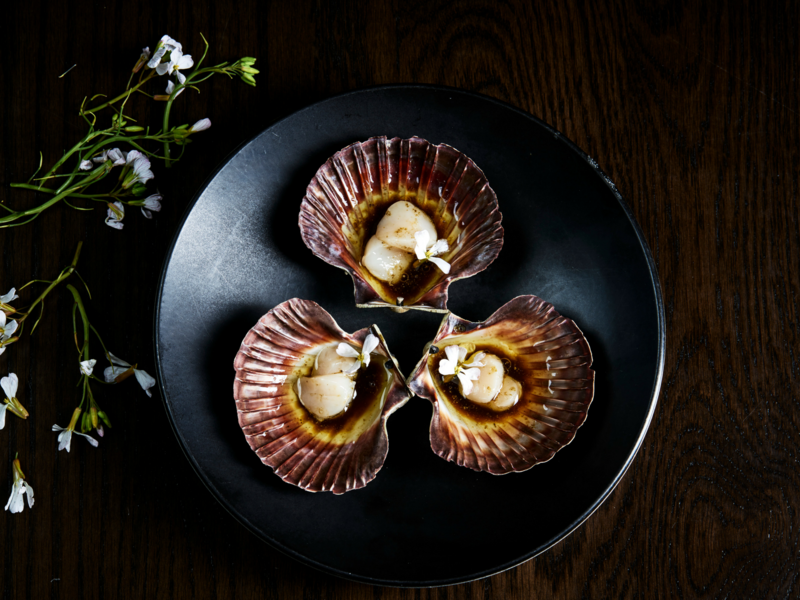 McConnell is regarded as one of Melbourne Greats because he’s gifted the city with some of its best restaurants, including Cumulus Inc, Cutler & Co and Supernormal. The modest, quietly spoken chef describes Wolf-Tasker as one of his ‘food heroes’ and says what they have in common is their dedication to sourcing great produce. Together, the pair will act as the unofficial entertainers at the event, where good food, wine, music and conversation collide to form a kind of dinner theatre. “I’m really excited to be back in the kitchen with Alla. She’s a great food force and a great person and we always have a lot of fun. Expect a lot of belly laughs. What Alla has at the Lake House is quite unique as she has access to some amazing local producers. I have access to a different producers around inner Melbourne and the location of our growers influences our food in a different way,” he says. McConnell says he had a lot of fun mapping out the menu of canapes, which will include a prawn roll, with nasturtium and horseradish; sea urchin with seaweed cracker and caviar; duck waffle with foie gras and quince; and a La Luna Holy Goat cheese with semolina cracker and marmalade. “I want the Melbourne Greats event to be an informal, relaxed and fun party and a snapshot of some of the food that makes Melbourne great. I want it to be a party. It’s the opening night of Good Food Month so it will be a lot of fun,” he says. The pair will be cooking in Good Food Month’s Melbourne Palms, the Palms Spring-inspired pop-up restaurant which has been conceptualised as a desert chic-styled space designed to help warm Melburnians during winter.